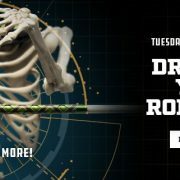 Ultra-Light Fishing rods are easy to assemble and a ton of fun to fish, but building the ideal rod equipped for your application is the key if you want to increase your hook ups on the water. 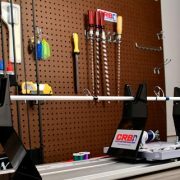 To build the best ultra-light rod for your application, consider what rod blank specifications are most important to your performance. Eliminating the unnecessary attributes of a rod blank allows you to tailor your panfish rod to your performance preferences and ultimately, maximize your performance. Shooting docks is a very popular application for catching panfish. The technique behind shooting docks isn’t difficult to learn, but does require pinpoint casting accuracy and the right action to work. 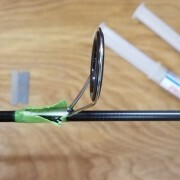 Since the shooting technique works like a pendulum, you simply hold the jig head between your pointer finger and thumb (with the hook pointed away) then point the rod tip towards your target and put a good bow in the rod. 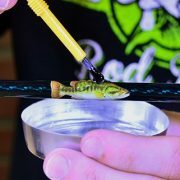 Once you release the jig, it will swing or “shoot” in between tight places and under docks to reach those target fish. 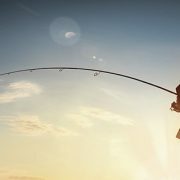 When it comes to triggering bites from the panfish lurking beneath docks or in between pontoons, you first need to be able to reach them and the “shooting” style of casting is the way to do it. Shorter blanks are much better for precisely shooting jigs under docks. For shooting docks, look for blanks ranging from 5’6”-6’0” in length because it complements the technique to accurately casts jigs into and under tight spaces. Shooting docks also requires the appropriate action in the rod blank. A moderate-fast to fast action will flex in the mid to tip section for optimum performance whether shooting jigs, sensing bites, or keeping panfish pinned. If shooting docks defines your panfish application, build your own Ultra-Light Rod or trust Elite Pro Brandon Lester’s Crappie Spinning Rod to give you a superior performance and experience. The spider rig is another popular, yet unique panfish application that demands a certain performance from your rod blanks. 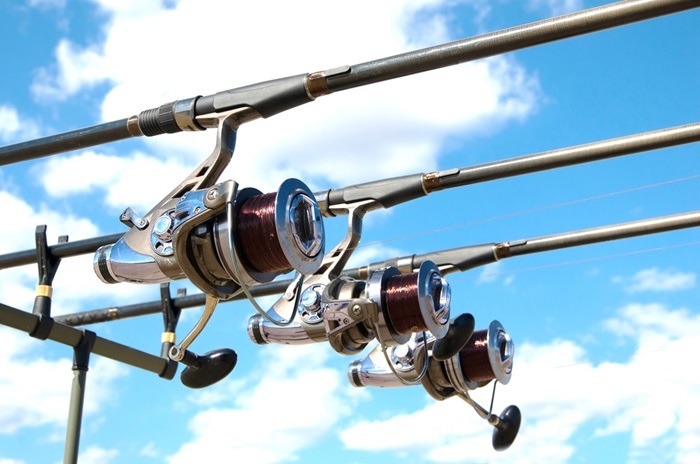 Spider rigging involves fanning multiple rods across 180 degrees of your boat and slowly pushing or dragging each rod’s bait through the water. Accomplished while slowly trolling, the spider rig aims to trigger bites from post-spawning panfish that venture away from banks or structures and out into deeper waters. Spider rigs work best to catch these lethargic panfish because they will school up and chase baitfish, which the spider rig’s multiple baits mimic perfectly. Spider rigs work well with a moderate-fast action that allows the blank to flex enough, allowing you to feel the bite and keep panfish hooked up. When it comes to lengths for spider rigs, ultra-light blanks ranging from 9’0”-10’0” work best because these lengths allow for plenty of space between lines and baits to maximize bites but minimize mess. 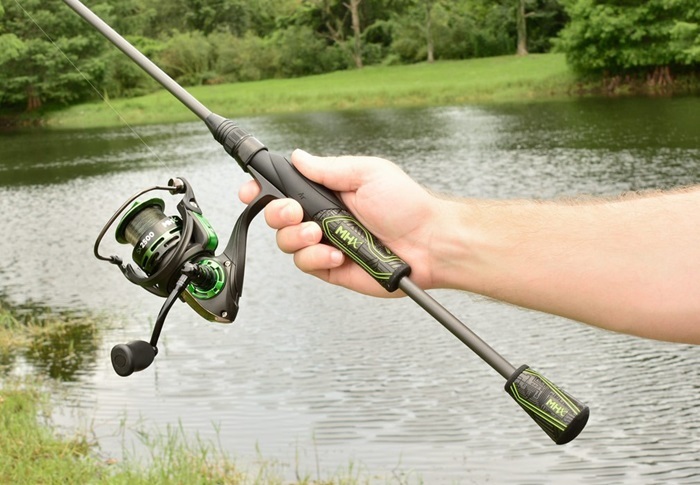 Some anglers will stagger rod lengths with the longest up front and shorter lengths down the side of the boat, so that the baits can reach various depths and increase each bait’s bite potential. Check out the proven performance of these MHX Crappie & Panfish Blanks for your spider rig! Whether pitching single or tandem jigs, it is crucial to get the best rod blank for the job. Considering ultra-light blanks pitch extremely lightweight jigs, the blank you use must be long enough to cast these tiny jigs some distance. Pitching jigs is a common application when targeting panfish and the technique behind it simply requires the right length. Casting these lightweight jigs can be difficult with shorter rods, so usually a blank between 6’6” and 7’0” will perform best for pitching single and tandem jigs. The added length of the 7’0” is especially important for tandem jigs because it allows you to get enough line out to cast and fish both jigs. Always check the ultra-light blank for manufacturer defects before building. Build the handle assembly proportional to the blank, ultra-light applications don’t require much leverage. Ultra-lights have thinner walls to ensure the perfect panfish performance. Keep the thinner walls in mind and keep thread tension lighter while wrapping. There is a myth of weakness, ultra-lights are quite durable in the right application. Use the right length ultra-light for your application. 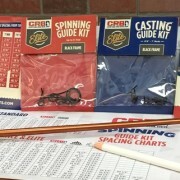 With these rod buiding notes, you can build and fish your own Ultra-Light Panfish Rod with more success and confidence.